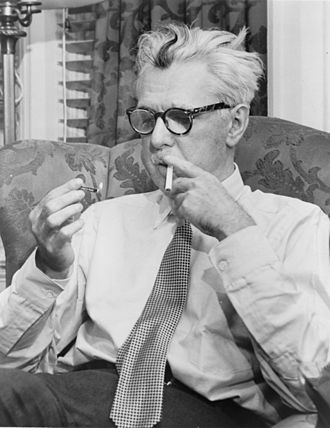 James Grover Thurber (December 8, 1894 – November 2, 1961) was an American cartoonist, author, journalist, playwright, and celebrated wit. 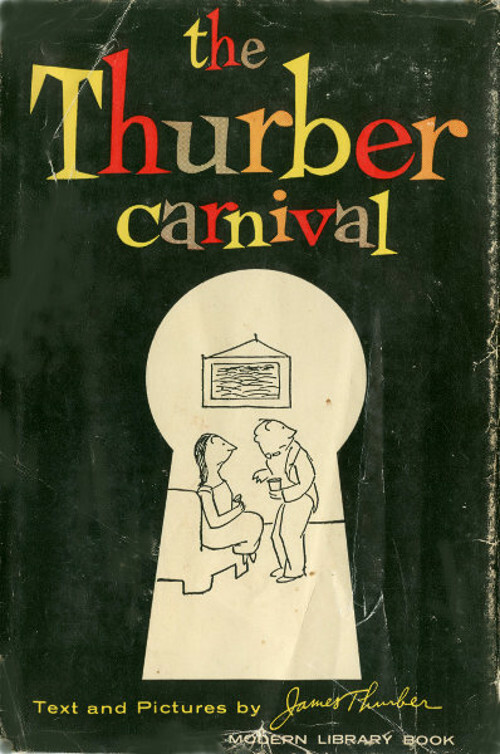 Thurber was best known for his cartoons and short stories, published mainly in The New Yorker magazine and collected in his numerous books. One of the most popular humorists of his time, Thurber celebrated the comic frustrations and eccentricities of ordinary people. In collaboration with his college friend, Elliott Nugent, he wrote the Broadway comedy, The Male Animal, later adapted into a film, which starred Henry Fonda and Olivia de Havilland. Many of his short stories are humorous fictional memoirs from his life, but he also wrote darker material, such as "The Whip-Poor-Will", a story of madness and murder. His best-known short stories are "The Dog That Bit People" and "The Night the Bed Fell"; they can be found in My Life and Hard Times, which was his "break-out" book. Among his other classics are The Secret Life of Walter Mitty, The Catbird Seat, A Couple of Hamburgers, The Greatest Man in the World, If Grant Had Been Drinking at Appomattox. The Middle-Aged Man on the Flying Trapeze has several short stories with a tense undercurrent of marital discord. The book was published the year of his divorce and remarriage. His 1941 story "You Could Look It Up", about a three-foot adult being brought in to take a walk in a baseball game, is said to have inspired Bill Veeck's stunt with Eddie Gaedel with the St. Louis Browns in 1951. Veeck claimed an older provenance for the stunt, but was certainly aware of the Thurber story.--Wikipedia. Epub 20170801.epub If you cannot open a .mobi file on your mobile device, please use .epub with an appropriate eReader. Mobi/Kindle 20170801.mobi Not all Kindles or Kindle apps open all .mobi files.